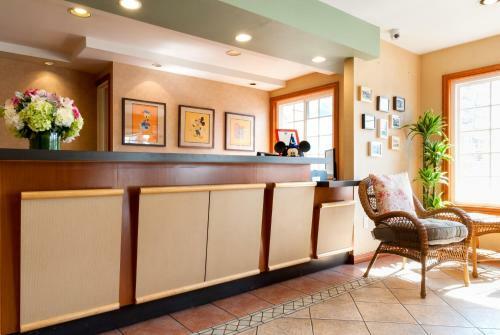 Well-appointed rooms four restaurants a resort-style pool and proximity to Disneyland make the non-smoking pet-friendly Sheraton Park Hotel at the Anaheim Resort among the top-10 Anaheim hotels for our guests. 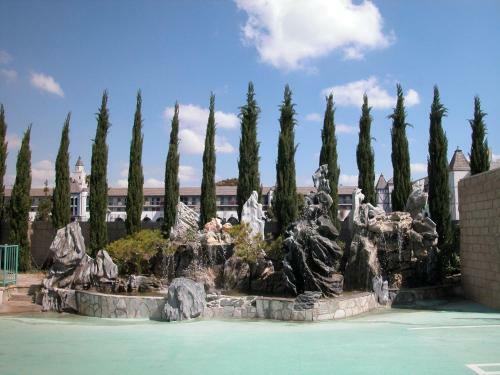 Located on 11 landscaped acres this 14-story property features 490 non-smoking rooms each with a private balcony flat-panel TV refrigerator granite vanity and upscale toiletries. In-room Wi-Fi is available for an added fee as are club level accommodations that provide free breakfast evening cocktails and hors d'oeuvres and access to the business center. There are four on-site restaurants to choose from. 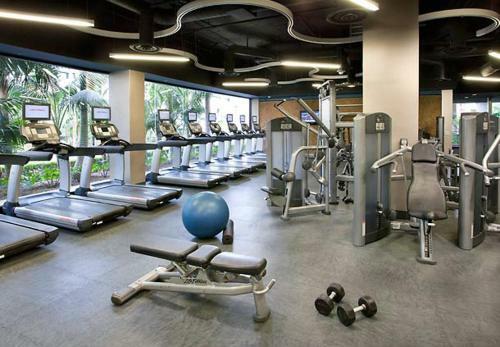 Stop by the tour desk for information before exploring area attractions or stay in and make a splash by the heated outdoor pool or work up a sweat in the fitness room. Pets are welcome for an additional fee. Just off I-5 the Sheraton is two blocks from the Downtown Disney District and a half-mile from the main entrance to Disneyland Park. 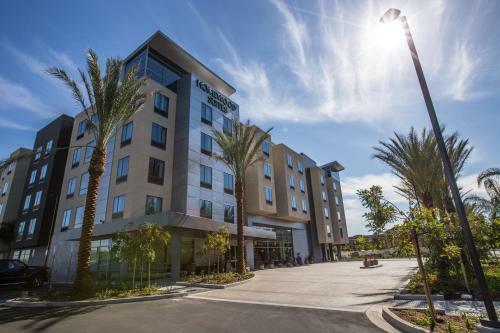 You're two blocks from the convention center and one block from browsing the shops at the Anaheim GardenWalk. 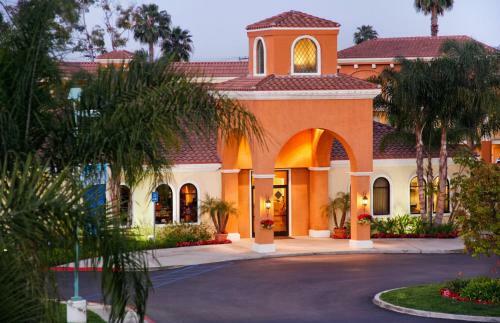 Climb aboard the Anaheim Resort Transit shuttle to explore town or drive two miles to premiere entertainment venues including City National Grove of Anaheim Angel Stadium and Honda Center. Soak up local culture three miles away at MUZEO or catch a show at the Pearson Park Amphitheatre. John Wayne Airport is 13 miles south and Long Beach Airport is 20 miles away.